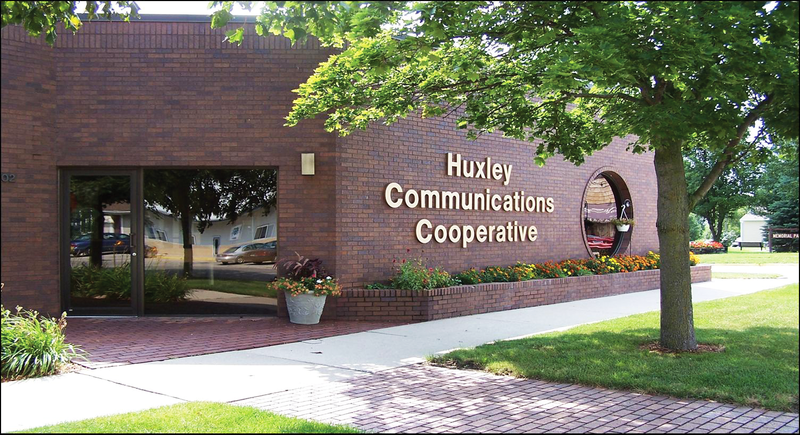 Huxley Communications Cooperative is proud to be an integral part of the Ballard & North Polk communities in central Iowa, providing advanced telecommunications services to over 3000 cooperative members and customers. We serve the communities of Alleman, Cambridge, Elkhart, Huxley, Kelley, Luther, and Slater. Huxley Communications began providing local telephone service around the turn of the 20th century and since then has grown their menu of services to include fiber optic internet and SkitterTV service. 1916 | Huxley Mutual Telephone Company was formed. 1933 | The building was bought where the switchboard was located and still is today! 1937 | Reorganized as a cooperative and renamed: Huxley Cooperative Telephone Company. 1956 | Board meeting voted to install the dial telephone system, eliminating the need for operators. 1972 | Larger equipment room was added, consolidating all machinery under one roof. 1976 | Purchased the Kelley Mutual Telephone Company, added 150 customers and raising the total to 1200 households served. 1978 | Tone dialing was added. 1980 | Business office was temporarily moved across the street for a raze and rebuild of the office building. 2001 | Changed name: Huxley Communications Cooperative reflecting wide range of communications services available. 2002 | Expands by offering all its services to the towns of Slater and Cambridge being one of the first telecommunications company in Iowa to install fiber-to-the-home technology. 2005 | Once again expands to offer all its services to the communities of White Oak and Elkhart by installing a state-of-the-art fiber optic network. 2008 | Completed a cable system upgrade to begin offering high definition service and digital video recording. 2011 | Began offering premium internet speeds becoming one of the first ISP’s in the country to deliver 100Mbps to a customer. 2016 | Partnered with SkitterTV to begin offering a 100% digital, IP based cable TV product. Huxley Communications collects information about you when you visit and/or purchase products or services from this website. Some of this information is automatically collected, and some is collected when you interact with the site. The type of information that is automatically collected can include date and time of access of the site, the Internet protocol address of the computer that you are using, the domain and host from which you access the Internet, your browser software and operating system, and the specific activities you are engaged in while visiting the Site. When you interact with this site, such as by completing an application or form, information such as your name, postal address and email address may be collected. Of course, you may choose not to provide certain information to Huxley Communications, but if so, you may not be able to participate in certain Huxley Communications activities and transactions. Huxley Communications may use “cookies” and/or other technologies or files (collectively, “cookies”) to identify how its visitors make use of this site. This aggregate tracking information is used to help Huxley Communications improve and enhance the website experience for all of its visitors. If you would prefer not to have such cookies stored on your computer, you may modify your browser settings to reject most cookies, or manually remove cookies that have been placed on your computer. However, by so rejecting the cookies, you may be unable to fully access the offerings on this site. When you communicate with Huxley Communications electronically, via e-mail or otherwise, you consent to Huxley Communications’ use of the information you have provided, and you further consent to receive electronic communications from Huxley Communications. If you would prefer not to receive such communications, please contact us. The PII collected by Huxley Communications may be used by Huxley Communications for any lawful purpose, including to communicate with you, respond to your requests, and analyze and improve Huxley Communications’ websites, its business and/or its service to you. Huxley Communications may use this information to send you e-mail newsletters, promotional offers with respect to goods or services of a particular brand or other types of communications on behalf of Huxley Communications and/or its affiliates. All e-mail newsletters and promotional offers will provide you with an opportunity to opt out of receiving future issues of such newsletters or to opt out of receiving future promotional offers with respect to such brand. Huxley Communications may also use your PII to send you e-mails or other communications on behalf of third parties. All such communications will provide you with the opportunity to opt out of receiving future third party offers from Huxley Communications. You may also, at any time, opt-out of receiving any third-party offers from this site by sending an e-mail to customerservice@interstatecom.com . Where permitted by law, Huxley Communications may disclose aggregated statistics about visitors to its site, along with specific information concerning individual visitors of its site that is not PII, provided that no specific individual can be identified by the information so disclosed. Subject to applicable laws, Huxley Communications may sometimes seek to share the PII it has collected with a third party, and may also sometimes seek to share such PII with companies that are affiliated with Huxley Communications. Huxley Communications may sometimes use a third party, located either within or outside the United States, to provide certain services on its behalf, such as processing transactions, sending e-mails or performing statistical analyses of activity on this website. In the event that Huxley Communications provides any of your PII to any such entity, Huxley Communications will require that any such entity maintain the confidentiality of (and not further share) the PII that Huxley Communications has provided to it. Huxley Communications may sometimes share PII with sponsors of promotions on the Huxley Communications site, or with or with sponsors or advertisers of “premium” content. Huxley Communications will always disclose when you are registering for such a promotion or requesting such content. Huxley Communications will not provide PII to any third party for such party’s direct marketing purposes without first providing you with an opportunity to opt-out of such disclosures. In the event that Huxley Communications is involved in a merger, acquisition, consolidation, restructuring, reorganization, liquidation, sale or similar transaction relating to any portion of its business and/or assets, you hereby acknowledge and agree that the PII relating to visitors of this site that Huxley Communications has collected may be included in the assets, and/or transferred pursuant to, such transaction. If that occurs, Huxley Communications will post a notice to such effect on this website. From time to time, the Huxley Communications website may contain links to other websites that are not controlled and/or maintained by Huxley Communications. Please be aware that these other websites may have different privacy policies which may subject you to different privacy practices. Please review the privacy policies of such other websites for information concerning what information is collected on such sites and how it is used. (”the Service”). By establishing an account or using the Service or equipment, you agree to be bound by this Agreement and to use the Service in compliance with HCC’s Acceptable Use Policy which is available on our website at www.huxcomm.net. Each Huxcomm Internet account has a password that Is the hey to gain access to the account The customer who registered the account is solely responsible for all access and actions taken with regard to tho account It is the account owner’s responsibility to safeguard the account password and to ensure that Huxcomm Acceptable Use Policies are honored. Huxcomm will hold the account owner responsible for any violations of the Acceptable use Policies. The term of this Agreement is for an initial term of twelve (12) months. This Agreement will automatically renew on a month-to-month basis after the end of the initial term unless you notify HCC in writing at least thirty (30) days in advance of your intent to cancel the Service. HCC reserves the right to change the price of the Service at any time with 30 days notice. Prices for other HCC services may change at any time upon 30 days notice. Current rates may be obtained by calling 800-231-4922 or 515-597-2281. The Service can vary depending on location, line quality, Internet traffic, CPU speed, operating system configuration and other factors beyond the control of HCC. HCC provides the service on a “best effort” standard and does not guarantee upload or download speeds. If you are dissatisfied with the Service or any related terms, conditions, rules, policies guidelines or practices, your sole remedy is to discontinue using the Service, cancel your account and pay any cancellation fees that apply. Termination of the service does not release you from liability for charges due under this agreement. To cancel the service you must call 800-231-4922 or 515-597-2281 or you may write to Huxley Communications Cooperative at P.0. Box 36, Huxley, IA 50124. You may also notify us in person at 102 N. Main Avenue in Huxley or send an email to huxtel@huxcomm.net. Cancellation will be effective at the end of the current billing period in which notice of cancellation Is received. Upon cancellation, email service will be terminated and all data and files stored on HCC services will be deleted. HCC may terminate this Agreement, your password, your account, or your use of the Services for any reason, including, without limitation, if HCC, in its sole discretion, believes you have violated this Term of Services Agreement, the Acceptable Use Policy or you fail to pay any charges when due. Termination notice will be by email or U.S. Mall to the address you provided for the Service. All notices to you shall be deemed effective on the first (1st) day following the date of the email or on fourth (4th) day following the date of the mailing. Sections 1, 5, 7, 8, 9 and 10 of this Agreement shall survive termination of this Agreement. Payment is due as specified on the monthly invoice. Failure to pay bill when due may result in suspension or disconnection of service. A service fee may be required to re-establish suspended service. You are responsible for any charges to your account. Questions regarding charges to an account should be directed to HCC Customer Service Department at 515-597-2281 or 800-231-4922. All charges are considered valid unless disputed In writing within sixty (60) days of the billing date. Adjustments will not be made for charges that are more than 60 days old. Payments not received by the due date on the invoice are subject to a late payment charge. HCC has no obligation to monitor the Services, but may do so and disclose information regarding use of the Services for any reason if HCC, in its sole discretion, believes that it is reasonable to do so, including to: satisfy laws, regulations, or governmental or legal requests; operate the Service properly; or to protect itself and its subscribers. HCC may immediately remove your material or information from HCC’s servers, in whole or in part, which HCC, in its sole and absolute discretion, determines to infringe another’s property rights or to violate our Acceptable Use Policy. THE SERVICES ARE PROVIDED ON AN “AS IS” AND “AS AVAILABLE” BASIS. HCC DOES NOT WARRANT THAT THE SERVICES WILL BE UNINTERRUPTED, ERROR-FREE OR FREE OF VIRUSES, OR OTHER HARMFUL COMPONENTS. HCC MAKES NO EXPRESS WARRANTIES AND WAIVES ALL IMPLIED WARRANTIES INCLUDING, BUT NOT LIMITED TO, WARRANTIES OF TITLE, NONINFRINGEMENT, MERCHANTABILITY, AND FITNESS FOR A PARTICULAR PURPOSE REGARDING ANY MERCHANDISE, INFORMATION OR SERVICE PROVIDED THROUGH HCC OR THE INTERNET. GENERALLY, NO ADVICE OR INFORMATION GIVEN BY HCC OR ITS REPRESENTATIVES SHALL CREATE A WARRANTY. HCC AND ITS EMPLOYEES, OFFICERS AND DIRECTORS ARE NOT LIABLE FOR ANY COSTS OR DAMAGES ARISING DIRECTLY OR INDIRECTLY FROM YOUR USE OF THE SERVICES OR THE INTERNET INCLUDING ANY INDIRECT, INCIDENTAL, EXEMPLARY, MULTIPLE, SPECIAL, PUNITIVE OR CONSEQUENTIAL DAMAGES. You agree to indemnify, defend and hold harmless HCC, its officers, directors, employees, agents, licensors, suppliers and any third party information providers to the Service from and against all losses, expenses, damages and costs, including reasonable attorneys’ fees, resulting from any violation of our Acceptable Use Policy by you. Each of these individuals or entities shall have the right to assert and enforce the provisions directly against you on its own behalf. This Agreement is governed by and interpreted in accordance with the laws of the State of Iowa and any applicable Federal laws. The courts of the Judicial District of Story County, Iowa shall have exclusive jurisdiction with respect to any proceeding in connection with this Agreement. This Agreement, the Acceptable Use Policy, and HCC’s other agreements and policies posted on HCC’s Web site constitute the entire agreement between you and HCC with respect to your use of the Service. HCC may revise, amend or modify the Agreements at any time and In any manner. Notice of any revision, amendment, or modification will be posted on HCC’s Web site www.huxcomm.net and/or by email and/or our various publications and mailings to you. Any revisions, amendments or modifications must be made in writing and authorized by HCC’s General Manager. No changes to our Agreements and policies may be made without written and signed authorization from HCC’s General Manager. Your use of our Service constitutes your continued acceptance of our Agreements and policies. If any provision of our Agreements and policies are found to be unenforceable or invalid, the remaining provisions shall be enforceable and valid to the greatest extent permitted by law. Huxley Communications Cooperative’s (HCC) Acceptable Use Policy is intended to help enhance the use of the Internet by preventing unacceptable use. All users of HCC’s Internet services must comply with this policy. We support the free flow of information and ideas over the Internet and do not actively monitor use of the Services under normal circumstances. Similarly, we do not exercise editorial control over the content of any Web site, electronic mail transmission, news group, or other material created or accessible over or through the Services, except for certain proprietary Web sites. However, in accordance with our Internet Service Agreement, we may remove any materials, that in our sole discretion, may be illegal, may subject us to liability, or which may violate this Acceptable Use Policy. HCC may cooperate with legal authorities and/or third parties in the investigation of any suspected or alleged crime or civil wrong. Your violation of this Acceptable Use Policy may result in the suspension or termination of your access to the Services and/or your HCC account. This Acceptable Use Policy should be read in conjunction with our Internet Terms of Service and other policies. HCC enforces these policies with respect to HCC customers only. We are not responsible for abusive actions which originate from other sites or networks on the Internet. Using the Services to transmit any material (by email, uploading, downloading, posting or otherwise) that, intentionally or unintentionally, violates any applicable local, state, national or international law, or any rules or regulations promulgated there under is prohibited. Using the Services to transmit any material (by email uploading, downloading, posting or otherwise) that threatens or encourages bodily harm or destruction of property is prohibited. Using the Services to transmit any material (by email, uploading, downloading or otherwise) that harasses another is prohibited. The term harassment may include unacceptable language, size of a message, frequency of messages or the sending of messages to a person who has asked explicitly that you do not. Using the Services to transmit any material (by email, uploading, downloading or otherwise) that contains explicit or graphic descriptions or accounts of sexual acts including but not limited to sexual language of a violent or threatening nature directed at another individual or group of individuals. Using the Services to discriminate against, victimize, harass, degrade or intimidate an individual or group of individuals on the basis of religion, gender, sexual orientation, race, ethnicity, age or disability. Using the Service to make libelous or defamatory remarks about another person or entity is prohibited. Using the Services to make fraudulent offers to sell or buy products, items or services or to advance any type of financial scam such as “pyramid schemes,” “Ponzi schemes,” “chain letters,” and other forms of business fraud. You may not impersonate any person or entity, including any employee or representative of HCC. Adding, removing or modifying identifying network header information in an effort to deceive or mislead is prohibited. Attempting to impersonate any person or entity by using forged headers or other Identifying information is prohibited. J. Unsolicited Commercial Email/Unsolicited Bulk Email. Using the Services to transmit any unsolicited commercial email or unsolicited bulk email (also known as “Spamming’) is prohibited. Activities that have the effect of facilitating unsolicited commercial email or unsolicited bulk email whether or not that email is commercial in nature are prohibited. “Negative Option” mass emails, which require a reply from the receiver to discontinue further unsolicited emails, are prohibited. Using the Services to access or to attempt to access, the accounts of others, or to penetrate, or attempt to penetrate, security measures of HCC’s or another entity’s computer software or hardware, electronic communications system, or telecommunications system, whether or not the intrusion results in the corruption or loss of data. The Service shall not be used to scan or probe ports without the consent of the owner of the machine being scanned. I. Copyright or Trademark Infringement. Using the Services to transmit any material (by email, uploading, downloading, posting or otherwise) that infringes any copyright, trademark, patent, trade secret, or other proprietary rights of any third party, including, but not limited to, the unauthorized copying of copyrighted material, the digitization and distribution of photographs from magazines, books, or other copyrighted sources, and the unauthorized transmittal of copyrighted software. m. Collection of Personal Data. Using the Services to collect or attempt to collect, personal information about third parties without their knowledge or consent. All Users further agree they will not attempt to collect or use any personal information from a minor (anyone under 18 years old) without appropriate prior verifiable parental consent. Reselling the Services without HCC’s authorization is prohibited. The Services are for your use only. o. Network Disruptions and Unfriendly Activity. Using the Services for any activity which adversely affects the ability of other people or systems to use HCC’s Services or the Internet is prohibited. This includes “denial of service” attacks against another network host or individual user. Interference with or disruption of other network users, network services or network equipment is prohibited. This includes but is not limited to software viruses or any other computer code, files or programs that are designed or intended to disrupt, damage, or limit the functioning of any software, hardware, or telecommunications equipment or damage or obtain unauthorized access to any data or information of any third party. It ls the User’s responsibility to ensure that their network is configured in a secure manner. A User may not, through action or inaction, allow others to use their network for illegal or inappropriate actions. A User may not permit their network, through action or inaction, to be configured in such a way that gives a third party, the capability to use their network in an illegal or inappropriate manner. Attempting to cancel, supersede, or otherwise interfere with newsgroup posts other than ones own. Blatant posting of articles which violate the named charter for specific newsgroups. Publishing someone’s real-world data (such as phone number, address, social security number, etc.) without their permission. Forging newsgroup header information to obscure the true originator of the message. HCC requests that anyone who believes that there is a violation of this Acceptable Use Policy please report such information to HCC Internet Services Customer Service, 102 N. Main Avenue, Huxley, IA 50124. You agree to indemnify, defend and hold harmless HCC Internet Services, its officers, directors, employees, agents, licensors, suppliers and any third party information providers to the Service from and against all losses, expenses, damages and costs, including reasonable attorneys’ fees, resulting from any violation of this Acceptable Use Policy by you. Each of these individuals or entities shall have the right to assert and enforce the provisions directly against you on its own behalf. This provision shall survive the termination of your service. HCC reserves the right to modify or amend this Acceptable Use Policy, our Terms of Service and our other policies and agreements at any time and in any manner. Notice of any modification or amendment will be posted and/or distributed in accordance with the Internet Service Agreement. 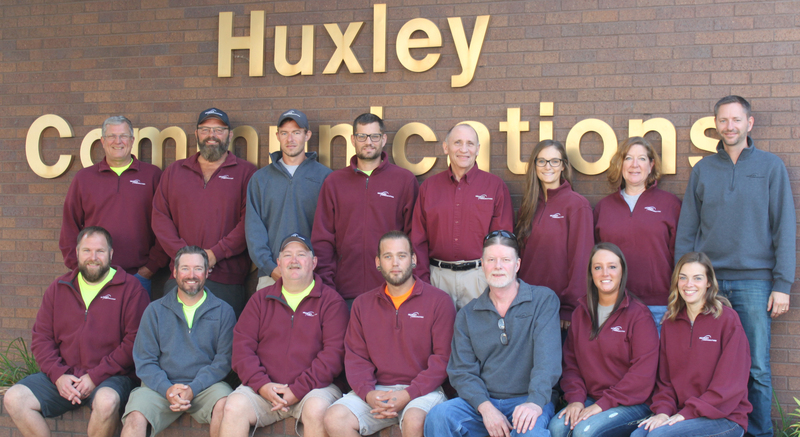 Huxley Communications offers broadband internet service to the central Iowa communities of Alleman, Cambridge, Elkhart, Kelley, Huxley, Luther, and Slater. Please see our ‘internet’ section on our website for specific availability and speed options. Huxley Communications does not implement any congestion management techniques. Huxley Communications operates our network to accommodate the necessary traffic requirements. In the event of congestion, all traffic is classified as best effort. Huxley Communications does not discriminate any customer traffic. Huxley Communications utilizes the network management techniques that are equal and standard across all user applications. We do not modify our network to make our directly served applications perform better than applications a user would access over the general Internet. For example, Huxley Communications does not manipulate our network to perform better for customers accessing huxcomm.net email servers versus Huxley Communications customers accessing Google’s gmail. The network management practices employed by Huxley Communications do not differ between our directly offered applications to those general applications offered over the Internet. The individuals whose names are hereunto subscribed hereby associate themselves into an incorporated cooperative association under the provisions of Chapter 499 of the Code of Iowa (1981); assuming all of the powers, rights and privileges granted to, and all of the duties and obligations imposed upon incorporated cooperative associations by said chapter, and for such purpose, do adopt the following Articles of Incorporation. The principal office of the Association shall be located in Huxley, in the County of Story, State of Iowa. To do and perform any and all acts and things, and to have and exercise any and all powers, as may be necessary or convenient to accomplish any or all of the foregoing purposes, or as may be permitted by the provisions of the laws under which the Association is formed; and to exercise any of its power anywhere. The corporate life of this Association began on the date the Secretary of State issued the Certificate of Incorporation and shall be perpetual, unless changed by an amendment to these Articles or terminated by dissolution. This Corporation shall be operated on a non-profit basis as a Cooperative and the value of the business done with non-members shall not exceed that done with members. Section 1. Any individual, in addition to the undersigned Incorporators, acting for himself or as an accredited representative of an Association, Corporation, Partnership, or Organization, and who customarily uses the services rendered by the Association, may become a member in the Association by: (A) Purchasing a membership in the Association for the issuing price hereinafter in Section 2 of this Article specified, (B) Agreeing to take, receive, and pay for communication (March 12, 1988) service furnished by the Association as hereinafter in Section 3 of this Article specified, and (c) agreeing to comply with, and to be bound by, these Articles of Incorporation, the Bylaws of the Association and such rules and regulations as may from time to time be adopted by the Board of Directors of the Association, provided, however, that no individual, except the Incorporator of the Association, or any individual accepted for membership by the undersigned Incorporators or the Members at any meetings hereof, shall become a member in the Association unless and until he has been accepted for Membership by the affirmative vote of not less than two-thirds of the Members of the Board of Directors,. Subject to the foregoing provisions of this Section, farm tenants, and landlords who receive a share of agricultural products as rent are also eligible for membership. Any other Association formed under Chapter 499 of the Code of 1977 of the State of Iowa, and engaged in any activity directly or indirectly related to any activity in which the Association is engaged, is also eligible for Membership, subject to the provisions of this Section. Section 2. The Association shall have no Capital Stock, but Membership in the Association shall be evidenced by a Certificate of Membership. The issuing price of Membership in the Association shall be twenty-five dollars ($25.00), and no certificate of Membership in the Association shall be issued until the issuing price for the Membership shall have been paid in full. Membership in the Association shall not be transferable. Section 3. Each Member of the Association shall receive service from the Association under the terms and conditions prescribed by resolution of the Board of Directors of the Association and shall pay therefor the price which shall, from time to time, be fixed therefor by resolution of the Board of Directors. Each Member shall also pay all obligations which may, from time to time, become due and payable by such member to this Association as and when the same shall become due and payable. Each Member shall comply with such rules and regulations as may, from time to time, be adopted by the Board of Directors. Section 4. No Member of the Association may own more than one Membership and each Member shall be entitled to one vote and no more at all Meetings of the Members of the Association. The vote of each Member of the Association shall be cast in person and not by proxy, provided that an absent Member may cast his signed, written vote upon any proposition of which he has been previously notified in writing, and of which a copy accompanies his vote. Section 5. The Board of Directors of the Association may, by the affirmative vote of not less than two-thirds of the Members of the Board of Directors, expel any Member of the Association, including the undersigned Incorporators, who shall have willfully violated or refused to comply with any of the provisions of these Articles of Incorporation or the Bylaws of the Association, or any rules or regulations promulgated by the Board of Directors, or who shall have ceased to be eligible for Membership in the Association, or who shall have failed to pay any debt or obligation to the Association when the same shall have become due and payable. Section 6. If a Member dies or becomes ineligible, or is expelled, his Membership shall forthwith be cancelled. In case of the expulsion of a Member, the association shall pay him the value of his membership as shown by the books of the association on the date of cancellation, but not more than the original issuing price of such Membership. Such payment shall be made within sixty (60) days after such expulsion. In case of the death of a Member, payment of such value shall be made to the personal representative of such deceased Member within two (2) years after his death. In cases of ineligibility, payment of such value shall be made to the Member who has become ineligible within two (2) years after the date of his ineligibility. Interest shall not, in any case, be paid upon the value of the Membership or the issuing price thereof. Section 7. Any Member of the Association may withdraw from Membership upon payment in full of all debts and obligations to the Association and upon compliance with and performance of all contracts with the Association. Upon such withdrawal, the Member so withdrawing shall be entitled to receive, and the Association shall pay to him, the value of his Membership as shown by the books on the date of such withdrawal, but not more than the original issuing price of said Membership. Section 8. The death, expulsion, or withdrawal of a Member of the Association shall not impair his debts, obligations, or liabilities to the Association. Section 9. The private property of the Members of the Association shall be exempt from execution for the debts of the Association. Section 1. Annual meetings of the Members of the Association shall be held at such times and places as shall be determined by the Board of directors. All meetings shall be held in the City or Town in which the principal office of the Association is located, or in such other place in Story County, Iowa, as shall be determined by the Board of Directors and specified in the notice of the meeting. Section 2. The Directors may call special Meetings of Members and shall do so upon written demand of at least twenty percentum (20%) of the Members. Section 1. The business and affairs of the Cooperative shall be managed by a Board of seven (7) Directors who must be Members of the Cooperative. Commencing with the Annual Meeting of the members to be held in the year 2005, the number of directors shall be increased from seven (7) to eight (8), and the business and affairs of the Cooperative shall thereafter be managed by a Board of eight (8) directors who must be members of the Cooperative. A Director who has been elected to three consecutive terms as a Director shall not be eligible for election to a fourth consecutive term as a Director, but shall again be eligible for election as a Director one year from the expiration of said Director’s third consecutive term as a Director. Completion of an unexpired term shall not be considered a term for purposes of this Section. District A shall be the area formerly served by the Kelley Exchange. Two (2) directors shall be residents of this district. District B shall be all of the service area of the Cooperative except for the area formerly served by the Kelley Exchange. Five (5) directors shall be residents of this district. District B shall be the Huxley Exchange area as defined by the Iowa Utilities Board. Four (4) directors shall be residents of this district. District C shall be all of the service area of the Cooperative except for the area formerly served by the Kelley exchange and the Huxley Exchange. Two (2) directors shall be residents of this district. Section 3. At each Annual Meeting of the Members, a number of directors equal to the number of directors whose terms shall expire at the time of the meeting shall be elected for the term (4) years, or until their successor shall have been elected and qualified. Section 4. Subject to the provisions of Section 5 of this Article VIII, any vacancy in the Board of Directors shall be filled by a majority vote of the remaining Directors, and the Directors thus elected shall serve until the expiration of the term, and until his successor shall have been elected and qualified. Section 5. At any regular Meeting of Members, or any meeting called for that purpose, any Officer or Director may be removed by vote of a majority of all voting Members of the Association. Any vacancy in the Board of Directors, pursuant to Section 4, may be filled at the same meeting at which such vacancy is created and the Director so elected shall hold office until the next succeeding regular Annual Meeting of the Members of the Association and until his successor shall have been elected and qualified. In case of the failure to fill such vacancy at such meeting, the Board of Directors may fill the vacancy at any subsequent meeting of the Board in the manner and for the term specified in Section 4 of this Article VIII. Section 1. No dividends or interest shall be paid upon issuing price of Membership in the Association. The Directors shall annually dispose of the earnings of the Association in excess of its operating expenses as provided in Section 499.30 Code of Iowa (1981). (E) With respect to the earnings allocated for the calendar year 1986 and thereafter, the Directors shall determine the percentage or the amount of said allocation that currently shall be paid in cash in a manner consistent with the provisions of Section 499.30 of the Code of Iowa. Section 2. The Members may, at any meeting, control the amount to be allocated to surplus or educational fund within the limits specified in Section 1 of this Article IX. Section 3. The Directors may use the revolving fund to pay the obligations or add to the capital of the Association. In such event, the deferred patronage dividends credited to Members shall constitute a charge upon the revolving fund and future additions thereto, and on the corporate assets subordinate to creditors then or thereafter existing. Deferred patronage dividends for any year shall have priority over those for any subsequent year, except that the Directors may, at their discretion, pay deferred patronage dividends of deceased Members who were natural persons, without reference to the order of priority herein prescribed, and except as in Article X of these Articles of Incorporation provided. Section 4. The Association may issue certificates for deferred patronage dividends, which certificates may be transferable or nontransferable as the Board of Directors may, from time to time, determine. Section 5. Credits or certificates referred to in Sections 3 and 4 of this Article IX, shall not mature until the dissolution or liquidation of the Association, but shall be callable by the Association at any time in the order of priority specified in Section 3 of this Article IX. Upon dissolution or liquidation, the assets of the Association shall be applied, first, to pay liquidation expenses, next to pay obligations of the Association other than patronage dividends or certificates issued therefore, and the remainder of such assets shall be distributed in the manner and order of priority provided by law. (A) The Board of Directors of the Cooperative shall adopt a resolution recommending the sale, lease, exchange, or other disposition and directing the submission thereof to a vote at a meeting of the membership, which may be either an annual or special meeting. (B) Written or printed notice of the proposal shall be given to each member of record entitled to vote at the meeting within the time and in the manner provided by these Articles of Incorporation for the giving of notice of meetings of members and whether the meeting be an annual or special meeting, shall state that the purpose, or one of the purposes of the meeting is to consider the proposed sale, lease, exchange or other disposition of substantially all of the property and assets of the Cooperative. (C) At the meeting the membership may authorize the sale, lease, exchange or other disposition and may fix, or may authorize the Board of Directors to fix, any and all of the terms and conditions thereof and the consideration to be received by this Cooperative. Such authorization shall be approved if two-thirds (2/3) of the members vote affirmatively on a ballot on which a majority of all voting members of the Cooperative participate. (D) After the authorization by the vote of the members, the Board of Directors of the Cooperative may nevertheless in its discretion abandon the sale, lease, exchange, or other disposition of assets, subject to the rights of third parties under any contracts relating thereto without further action or approval by the members. Except as otherwise provided by Iowa law, a director, officer, employee, or member of the Cooperative is not liable on the debts or the obligation, and a director, officer, member or other volunteer is not personally liable in that capacity for a claim based upon an act or omission of the person performed in the discharge of the person’s duties, except for a breach of the duty of loyalty to the Cooperative, for acts or omissions not in good faith or which involve intentional misconduct or knowing violation of the law, or for a transaction from which the person derives an improper personal benefit. The Cooperative may indemnify any present or former director, officer, employee, member or volunteer in the manner and in the instances authorized in Section 496A.4A Iowa Code (1987) as amended. The Directors, by a vote of seventy-five percent (75%) of the Directors, may adopt, alter, amend, or repeal bylaws for the Association, and the same shall remain in force until altered, amended, or repealed by a vote of seventy-five percent (75%) of the Members present of represented at any annual meeting or special meeting of the Members. The Association may amend, alter, change or repeal any provision contained in these Articles of Incorporation in the manner now or hereafter prescribed by law. said persons being to me personally known to be the identical persons whose names are subscribed to the foregoing Articles of Incorporation, and each for himself, acknowledged the execution of the same to be his free and voluntary act and deed for the uses and purposes therein expressed. Witness my hand and notarial seal the day, month, and year last above written. Requirements for Membership. The Cooperative is organized for the mutual benefit of consumers of telecommunications goods and services. Accordingly, membership in the Cooperative is limited to those individuals, associations, corporations, partnerships and other entities which purchase such goods and services from the Cooperative for their own use or consumption (3/20/97). Individuals, associations, corporations, partnerships or other entities which purchase such goods and services from the Cooperative for sale, resale, or other transfer for value, including, but not limited to, originating or terminating access services or interconnections provided to interexchange service providers, cellular or other commercial radio service providers, cable television service providers, local service providers of basic or enhanced services, shared tenant service providers, or other aggregators of traffic, whether alone or in a combination with other services or products provided by the purchaser or obtained from any other provider, shall not be eligible for membership. (C) Agreeing to comply with and to be bound by the Articles of Incorporation, these By-Laws of the Cooperative and any amendments thereof, and such rules and regulations as may from time to time be adopted by the Board of Directors of the Cooperative; provided, however, that no individual, association, corporation, partnership or other entity shall become a member in the Cooperative unless and until applicant has been accepted for membership by the affirmative vote of not less than two-thirds (2/3) of the members of the Board of Directors. Provided, however, that agreement to pay or payment of the membership fee, in accordance with the provisions of the these By-Laws, by a landlord on behalf of an applicant for membership who is a tenant occupying the premises owned by such landlord and served by the Cooperative, shall constitute compliance by such applicant with Subdivision “D” of this Section; and, provided further however, that no person, firm, association, corporation, or body politic or subdivision thereof shall become a member unless and until they have been accepted for membership by the Board or the Members. No Member may hold more than one membership in the Cooperative, and no membership shall be transferable, except as provided in these By-Laws. Beginning six months after the date of Incorporation, all applications received more than thirty days prior to each meeting of the Members which have not been accepted, or which have been rejected by the Board, shall be submitted by the Secretary to such meeting and subject to compliance by the Applicant with the requirements herein above set forth, any such application may be accepted by vote of the Members. The Secretary shall give each such applicant at least ten days written notice of the date of the Members’ meeting to which their application will be submitted, and such applicant shall be entitled to be present and heard at the meeting. Membership Certificates. Membership in the Cooperative shall be evidenced by a Membership Certificate which shall be in such form and shall contain such provisions as shall be determined by the Board. Such Certificate shall be signed by the President and by the Secretary. No Membership Certificate shall be issued for less than the membership fee fixed in these By-Laws, nor until such membership fee has been fully paid for. In case a Certificate is lost, destroyed, or mutilated, a new Certificate may be issued therefore upon such uniform terms and indemnity to the Cooperative as the Board may prescribe. Joint Membership. A husband and wife may apply for a Joint Membership and subject to their compliance with the requirements of Section 1 of this Article, may be accepted for such membership. The term “Member”, as used in these By-Laws shall be deemed to include a husband and wife holding a Joint Membership, and any provisions relating to the rights and liabilities of membership shall apply equally with respect to the holders of a Joint Membership. (G) Either, but not both, may be elected or appointed as an Officer or Director, provided that he/she meets the qualifications for such office. Membership and Service Connection Fees. The membership fee shall be twenty-five dollars ($25.00). Additional fees shall be paid for each connection, extension, and other available service in accordance with the rules and regulations prescribed by the Board. Purchase of Communications Service. Each Member shall, as soon as service is available, take communications service from the Cooperative to be used on the premise specified in their application for membership, and shall pay therefore monthly, at rates which shall from time to time be fixed by the Board provided, however, that the Board may limit the amount of service which the Cooperative shall be required to furnish to any one Member. It is expressly understood that amounts paid for communications service in excess of the cost of service are furnished by Members as capital, and each Member shall be credited with the capital so furnished as provided in these By-Laws. Each Member shall pay to the Cooperative such minimum amount per month for communications service as shall be fixed by the Board from time to time. Each Member shall also pay all amounts owed to the Cooperative as and when the same shall become due and payable. (A) Any Member may withdraw from membership upon compliance with such uniform terms and conditions as the Board may prescribe. The Board may, by the affirmative vote of not less than two-thirds of all the Directors, expel any Member who fails to comply with any of the provisions of the Articles of Incorporation, these By-Laws, or any rules or regulations adopted by the Board, but only if such Member shall have been given written notice by the Secretary that such failure makes them liable to expulsion, and such failure shall have continued for at least ten (10) days after such notice was given. Any expelled Member may be reinstated by vote of the Board or by vote of the Members at any annual or special meeting. The membership of a Member who has not permitted the installation of service within thirty (30) days after they have been notified service is available to them, or of a Member who has ceased to purchase service from the Cooperative, shall be canceled by resolution of the Board. (B) Upon the withdrawal, death, cessation of existence, or expulsion of a Member, the membership of such Member shall thereupon terminate and the Membership Certificate of such Member shall be surrendered forthwith to the Cooperative. Termination of membership in any manner shall not release a Member or their estate from any debts due the Cooperative. (C) If a Membership Fee has been paid by a landlord on behalf of a tenant, upon the removal of such tenant from the premises of the landlord, the membership of such tenant shall terminate. (D) Upon termination of membership for any reason, any refund of Membership Fees pursuant to this Subsection, shall be made in the order in which membership shall have been terminated. Prior to the repayment of a Membership Fee paid by the Member, the Cooperative shall deduct from the amount of such Membership Fee the amount of any debts owing from the Member to the Cooperative. The remaining property and assets of the Cooperative shall be distributed among the Members and former Members in the proportion which the aggregate patronage of each Member bears to the total patronage of all such Members, unless otherwise provided by law. Non-liability for Debts of the Cooperative. The private property of the Members shall be exempt from execution or other liability for the debts of the Cooperative, and no Member shall be liable or responsible for any debts or liabilities of the Cooperative. Annual Meeting. The date, time, and place of the annual meeting of the Members shall be determined by the Board of Directors and shall be designated in the notice of the meeting for the purpose of electing Directors, passing upon reports for the previous fiscal year, and transacting such other business as may come before the meeting. It shall be the responsibility of the Board to make adequate plans and preparations for the annual meeting. If the day fixed for the annual meeting shall fall on a Sunday or legal holiday, such meeting shall be held on the next succeeding business day. Failure to hold the annual meeting at the designated time shall not work a forfeiture or dissolution of the Cooperative. Special Meetings. Special meetings of the Members may be called by resolution of the Board, or upon a written request signed by any three Directors, by the President, or by not less than twenty percent (20%) of all of the Members, and it shall thereupon be the duty of the Secretary to cause notice of such meeting to be given as hereinafter provided. Special meetings of the Members may be held at any place within the County of Story, State of Iowa, specified in the notice of the special meetings. Notice of Members’ Meetings. Written notice stating the place, day, and hour of the meeting and, in case of a Special Meeting or an Annual Meeting at which business requiring special notice is to be transacted, the purpose or purposes for which the meeting is called shall be delivered not less than ten (10) days, nor more than twenty (20) days, before the date of the meeting, either personally or by mail, by or at the direction of the Secretary, or upon a default in duty by the Secretary, by the persons calling the meeting, to each Member. If mailed, such notice shall be deemed to be delivered when deposited in the United States mail, addressed to the Member at their address as it appears on the records of the Cooperative, with postage thereon prepaid. The failure of any Member to receive notice of an annual or special meeting of the Members shall not invalidate any action which may be taken by the Members at any such meeting. Quorum. The presence of thirty (30) Members in person shall constitute a quorum. If less than a quorum is present at any meeting, a majority of those present in person may adjourn the meeting from time to time without further notice. Minutes of each meeting shall contain a list of the Members present in person. (a). Each member shall be entitled to one vote and no more upon each matter submitted to vote of the members. If a husband and wife hold joint membership, they shall be entitled jointly to one vote and no more, upon each matter submitted to vote and at a meeting of the members. At all meetings of the members at which a quorum is present, all elections shall be had and all questions shall be decided by a vote of a majority of the members voting. Ballots may be cast any time during a meeting of the members up to the time the balloting is closed. In the absence of a withdrawal of one or more of the candidates, a run-off election for Directors shall be held within thirty (30) days in the event of a tie between any Director candidates. (b). At the option of the Board of Directors, and in an effort to ensure greater participation by the members in the election of Directors, a ballot marked “Ballot for Directors” containing the names of all nominees along with candidate biographies, may be mailed with the notice of the meeting. A statement of the Secretary shall be mailed with said ballot, informing the members of the manner in which they may vote by mail for Directors as provided in this Section. In the event the Board of Directors chooses to allow voting by mail, any member may vote by mail for Directors by marking on the ballot an “X” opposite the names of the number of candidates equal to the number of Directors to be elected from each district, and enclosing the ballot in a sealed envelope addressed to the Secretary of the Cooperative. The member’s name and address must appear on the outside of the envelope. When such ballot so enclosed is received by mail from any member, it shall be accepted and counted as a vote for Directors by ballot of such member, provided said mailed ballot is received in advance of the Annual Meeting of the members. Any ballot received after the Annual Meeting shall not be counted. The Board of Directors may also, at its option, allow voting by mail on other maters to be acted upon at any Annual or Special Meeting of the members. If the Board so elects, the Secretary shall enclose with the notice of such meeting, an exact copy of the motion or resolution to be acted upon or a summary thereof, together with an appropriate form of ballot which the member can mark either “yes” or “no” on each such motion or resolution in the space provided therefore and enclose each ballot so marked in an envelope bearing the member’s name, addressed to the Secretary of the Cooperative. When such ballot so enclosed is received by mail from any member, it shall be accepted and counted as a vote of such member at such meeting, provided said mailed ballot is received in advance of the Annual or Special Meeting of the members. Any ballot received after the Annual or Special Meeting of the members shall not be counted. If the Board of Directors chooses not to allow voting by mail as set forth above, the Board of Directors may choose, at its option, to allow members who are unable to attend any Annual or Special Meeting of the members to vote by absentee ballot in the election of Directors or upon any motion or resolution to be acted upon at any such meeting with respect to an amendment to the Articles of Incorporation or the Bylaws or any action submitted pursuant to resolution adopted by the Board of Directors. If the Board of Directors elects to allow absentee voting, the Secretary shall enclose with the notice of such meeting a complete listing of the Director candidates and an exact copy of any motion or resolution to be acted upon and such absent member shall have the right to request a ballot and express his or her vote thereon by indicating in the appropriate space on the ballot and enclosing each copy so marked in a sealed envelope bearing his or her name and addressed to the Secretary of the Cooperative. The absentee ballot must be requested, voted upon, and returned to the Cooperative not more than ten (10) days nor less than twenty-four (24) hours prior to the date of the meeting at which action is to be taken. When such absentee ballot so enclosed is delivered to the office of the Cooperative, it shall be accepted and counted as a vote of such absent member at such meeting. If a jointly held membership is absent from any Annual or Special meeting of the members, that jointly held membership shall be entitled to vote by absentee ballot as provided in this Section. The failure of any such absent member to receive a copy of any such motion or resolution or ballot, shall not invalidate any action which may be taken by the members at any such meeting. General Powers. The business and affairs of the Cooperative shall be managed by a Board of eight (8) Directors, which shall exercise all of the powers of the Cooperative, except such as are by law, the Articles of Incorporation, or these By-Laws, conferred upon or reserved to the Members. Election and Tenure of Office. At each annual meeting of the Members, a number of Directors equal to the number of Directors whose terms expire at the time of such meetings shall be elected to hold office for a term of four (4) years or until their respective successors shall have been elected and qualified. The election of Directors shall be by ballot and each Director so elected. District “B” shall be the Huxley Exchange area as defined by the Iowa Utilities Board. Four (4) directors shall be residents of this district. District “C” shall be all of the service area of the Cooperative except for the area formerly served by the Kelley Exchange and the Huxley Exchange. Two (2) directors shall be residents of this district. Upon the establishment of the fact that a Director is holding office in violation of any of the foregoing provisions, the Board shall remove such Director from office. Nominations. It shall be the duty of the Board to appoint, not less than forty (40) nor more than seventy (70) days before the date of a meeting of the Members at which Directors are to be elected, a Committee on Nominations consisting of two (2) non-director Members from each district from which Directors are to be elected. Committee Members shall nominate only candidates from the district they represent, and shall nominate at least two (2) candidates from their district. No Member of the Board may serve on the Nominating Committee. The Committee shall prepare and post at the principal office of the Cooperative, at least thirty (30) days before the meeting, a list of the nominations for Directors. Any fifteen or more Members acting together may make other nominations by petition not less than twenty (20) days prior to the meeting, and the Secretary shall post such nominations at the same place where the list of nominations made by the Committee is posted. The Secretary shall mail with the notice of the meeting or separately, at least ten (10) days before the date of the meeting, a statement of the number of Directors to be elected, and the names and addresses of the candidates, specifying separately the nominations made by the Committee and nominations made by petitions, if any. The ballot to be used at the election shall list the names of the candidates nominated by the Committee and the names of the candidates nominated by petition, if any. No Member may nominate more than one candidate. Removal of Directors by Members. Any Member may bring charges against a Director and, by filing with the Secretary such charges in writing, together with a petition signed by at least ten per centum (10%) of the Members or two hundred Members, whichever is the lessor, may request the removal of such Director by reason thereof. Such Director shall be informed in writing of the charges at least ten (10) days prior to the meeting of the Members at which the charges are to be considered and shall have an opportunity at the meeting to be heard in person or by counsel, and to present evidence in respect of the charges; and the person or persons bringing the charges shall have the same opportunity. The question of the removal of such Director shall be considered and voted upon at the meeting of the Members and any vacancy created by such removal may be filled by vote of the Members at such meeting without compliance with the foregoing provisions with respect to nominations. Vacancies. Subject to the provisions of these By-Laws, with respect to the filling of vacancies caused by the removal of Directors by the Members, a vacancy occurring in the Board shall be filled by the affirmative vote of a majority of the remaining Directors for the unexpired portion of the terms, provided, however, that in the event the vacancy is not filled by the Board within sixty (60) days after the vacancy occurs, the Members shall have the right to fill such vacancy at a meeting of the Members without compliance with the foregoing provision in respect of nominations. Compensation. Directors shall not receive any salary for their services as Directors, except that by resolution of the Board a fee not to exceed seventy-five dollars ($75.00) and actual expenses of attendance, if any, for attending regular and special meetings of the Board of Directors in the service area of the Cooperative, may be allowed. A fee not to exceed one hundred fifty dollars ($150.00) a day and actual expenses of attendance, if any, for such meetings of the Board or Committees of the Board, or seminars, or other official Cooperative business, held or transacted away from the Cooperative office, may be allowed. Compensation for actual expenses incurred in operating personal automobiles on Cooperative business shall not exceed the current IRS authorized rate per mile. No Director shall receive compensation for serving the Cooperative in any other capacity, nor shall any close relative of a Director receive compensation for serving the Cooperative unless the payment and amount of compensation shall be specifically authorized by a vote of the Members, or the service by such Director or close relative shall have been certified by the Board as an emergency measure. Regular Meetings. A regular meeting of the Board shall be held without notice, immediately after, and at the same place, as the annual meeting of the Members. A regular meeting of the Board shall also be held monthly at such time and place in Story County, Iowa, as the Board may provide by resolution. Such regular monthly meeting may be held without notice, other than such resolution fixing the time and place thereof. Special Meetings. Special meetings of the Board may be called by the President or by any three Directors, and it shall thereupon be the duty of the Secretary to cause notice of such meeting to be given as hereinafter provided. The President or the Directors calling the meeting shall fix the time and place (which shall be in Story County, Iowa) for the holding of the meeting. Notice of Directors’ Meeting. Written notice of the time, place and purpose of any special meeting of the Board shall be delivered to each Director not less than five (5) days previous thereto, either personally or by mail, by or at the direction of the Secretary or upon a default in duty by the Secretary, by the President, or the Directors calling the meeting. If mailed, such notice shall be deemed to be delivered when deposited in the United States mail, addressed to the Director at their address as it appears on the records of the Cooperative, with postage thereon prepaid. Quorum. A majority of the Board shall constitute a quorum, provided that if less than such majority of the Directors is present at said meeting, a majority of the Directors present may adjourn the meeting from time to time; and, provided further, that the Secretary shall notify any absent Directors of the time and place of such adjourned meeting. The act of a majority of the Directors present at a meeting at which a quorum is present shall be the act of the Board. Number. The Officers of the Cooperative shall be a President, Vice President, Secretary, Treasurer, and such other officers as may be determined by the Board from time to time. The Offices of Secretary and Treasurer may be held by the same person. Election and Term of Office. The Officers shall be elected by ballot annually by and from the Board at the meeting of the Board held immediately after the annual meeting of the Members. If the election of Officers shall not be held at such meeting, such election shall be held as soon thereafter as conveniently may be. Each Officer shall hold office until the first meeting of the Board following the next succeeding annual meeting of the Members, or until their successor shall have been elected and shall have qualified. Except as otherwise provided in these By-Laws, the vacancy in any office shall be filled by the Board for the unexpired portion of the term. Removal of Officers and Agents by Directors. Any Officer or Agent elected or appointed by the Board may be removed by the Board whenever, in its judgment, the best interest of the Cooperative will be served thereby. In addition, any Member of the Cooperative may bring charges against an Officer, and, by filing with the Secretary such charges in writing, together with a petition signed by ten per centum (10%) of the Members, or two hundred Members, whichever is the lesser, may request the removal of such Office. The Officer against whom such charges have been brought shall be informed in writing of the charges at least ten (10) days prior to the Board meeting at which the charges are to be considered and shall have an opportunity at the meeting to be heard in person or by counsel and to present evidence in respect of the charges; and the person or persons bringing the charges against the Director shall have the same opportunity. In the event the Board does not remove such Officer, the question of removal shall be considered and voted upon at the next meeting of the Members. (C) In general, perform all duties incident to the Office of President and such other duties as may be prescribed by the Board from time to time. Vice President. In the President’s absence, inability or refusal to act, the Vice President shall perform the duties of the President, and, when so acting, shall have all the powers of and be subject to all the restrictions upon the President. The Vice President shall also perform such other duties as from time to time may be assigned by the Board. (H) In general, perform all duties incident to the Office of Secretary, and such other duties as from time to time may be assigned by the Board. (C) In general, perform all the duties incident to the Office of Treasurer, and such other duties as from time to time may be assigned by the Board. Manager. The Board may appoint a Manager who may be, but who shall not be required to be, a Member of the Cooperative. The Manager shall perform such duties and shall exercise such authority as may be vested by the Board from time to time. Bonds of Officers. The Treasurer and other Officer or Agent of the Cooperative charged with responsibility for the custody of any of its funds or property, shall give bond in such sum and with such surety as the Board shall determine. The Board, in its discretion, may also require any other Officer, Agent, or Employee of the Cooperative to give bond in such amount and with such surety as it shall determine. Compensation. The powers, duties, and compensation of Officers, Agents, and Employees shall be fixed by the Board, subject to the provisions of these By-Laws, with respect to compensation for Directors and close relatives of Directors. Reports. The Officers of the Cooperative shall submit at each annual meeting of the Members, reports covering the business of the Cooperative for the previous fiscal year. Such reports shall set forth the condition of the Cooperative at the close of such fiscal year. Employment of Relatives. The Cooperative shall not employ members of the immediate family of any Director or employee on a full-time basis, but may employ such persons as part-time or temporary employees. Interest or Dividends on Capital Prohibited. The Association shall, at all times, be operated on a Cooperative non-profit basis for the mutual benefit of its Members. No interest or dividends shall be paid or payable by the Association on any capital furnished by its patrons. Patronage Capital in Connection With Furnishing Communications Service. The Board of Directors shall annually allocate any revenues remaining after the payment of all expenses of operation in accordance with the provisions of the Articles of Incorporation. The Association may not sell, mortgage, lease, or otherwise dispose of or encumber all or any substantial portion of its property except as provided in the Articles of Incorporation. The Board of Directors of the Association, without authorization by the Members thereof, shall have full power and authority to authorize the execution and delivery of a mortgage or mortgages or a deed or deeds of trust upon, or the pledging or encumbering of, any or all of the property, assets, rights, privileges, licenses, franchises, and permits of the Association, whether acquired or to be acquired, and wherever situated, as well as the revenues and income therefrom, all upon such terms and conditions as the Board of Directors shall determine to secure any instrumentality or agency thereof. The Cooperative shall have no corporate seal. Contracts. Except as otherwise provided in these By-Laws, the Board may authorize any Officer or Officers, Agent or Agents, to enter into any contract or execute and deliver any instrument in the name and on behalf of the Cooperative, and such authority may be general or confined to specific instances. Checks, Drafts, Etc. All checks, drafts, or other orders for the payment of money, and all notes, bonds, or other evidences of indebtedness issued in the name of the Cooperative, shall be signed by such Officer or Officers, Agent or Agents, Employee or Employees of the Cooperative and in such manner as shall from time to time be determined by resolution of the Board. Deposits. All funds of the Cooperative shall be deposited from time to time to the credit of the Cooperative in such banks or financial institutions as the Board may select. Fiscal Year. The fiscal year of the Cooperative shall begin on the first day in January of each year and shall end on the Thirty-first day of December the same year. Membership in Other Organizations. The Association may become a Member of, or purchase stock in, any other organization on adoption of an appropriate resolution by a majority of the Board of Directors. Waiver of Notice. Any Member or Director may waive in writing any notice of a meeting required to be given by these By-Laws. The attendance of a Member or Director at any meeting shall constitute a waiver of notice of such meeting by such Member or Director, except in case a Member or Director shall attend a meeting for the express purpose of objecting to the transaction of any business on the grounds that the meeting has not been lawfully called or convened. Rules and Regulations. The Board of Directors shall have power to make and adopt such rules and regulations not inconsistent with law, the Articles of Incorporation, or these By-Laws, as it may deem advisable for the management of the business and affairs of the Association. Accounting System and Reports. The Board of Directors shall cause to be established and maintained a complete accounting system which shall comply with all applicable laws and with all rules and regulations of any regulatory body having jurisdiction over the operations of the Association. The Board of Directors shall also, after the close of each fiscal year, cause to be made an audit by a Certified Public Accountant under the accounts, books, and financial condition of the Association, as of the end of such fiscal year. Such audit report shall be submitted to the Members at the next following annual meeting. The Directors, by a vote of seventy-five percent (75%) of the Directors, may adopt, alter, amend, or repeal By-Laws for the Association, and the same shall remain in force until altered, amended, or repealed by a vote of seventy-five percent (75%) of the Members present or represented at any annual meeting or special meeting of the Members.